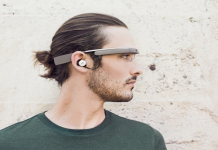 A new version of Google Glass is coming soon, apparently, says a Google partner. Google plugged the plug on the Explorer edition of Google Glass, but now reports indicate that a new version of Google Glass is coming sooner than you think. According to The Wall Street Journal, Italian eyewear giant Luxottica is working alongside Google on its upcoming Glass version. No specifics were revealed about the new version of the Glass.